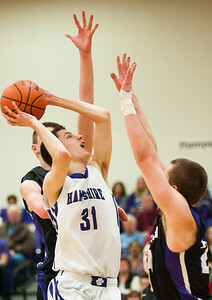 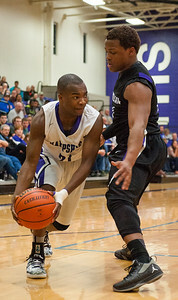 Randy Stukenberg - For Shaw Media Hampshire's Ajiri Oghale has trouble getting around Rockford Lutheran's James Robinson during the second quarter of the Class 3A Rochelle Sectional semifinal game Wednesday, March 11, 2015. 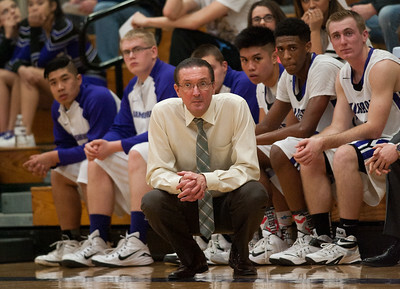 Randy Stukenberg - For Shaw Media Hampshire's head coach Bob Barnett watches action on the floor during the second quarter of the Class 3A Rochelle Sectional semifinal game Wednesday, March 11, 2015. 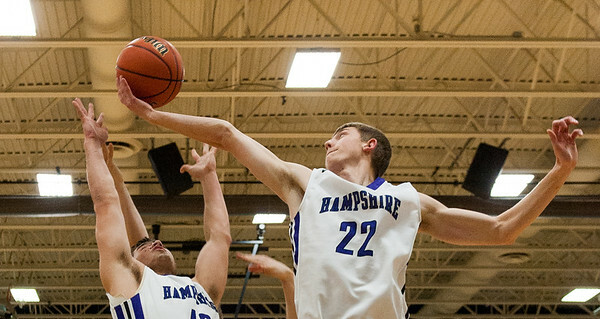 Barnett is retiring after this season. 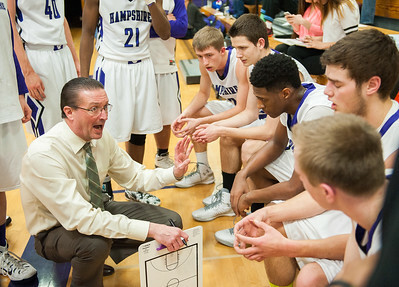 Randy Stukenberg - For Shaw Media Hampshire head coach Bob Barnett stresses strategy during a time out in the third quarter of the Class 3A Rochelle Sectional semifinal game Wednesday, March 11, 2015.